Recently, we have seen a new term emerging regarding the type of employees some companies have: corporate zombies. Why should you as a financial leader care about the type of employees your company has? It all lies in your income statement. One of the largest (if not the largest) expense item is your human capital. If some of your employees are corporate zombies, that cannot be good for the financial future of your company and we’ll explain below. Why are Corporate Zombies rising up? In addition, we are seeing that corporate zombies in recruiting are hiring the same type of person. This person is on the fast track to management, are unengaged with doing the job that they currently have, and are spending all their time at work. While it may seem good to have those that want to be promoted and will work for that promotion, you must address whether they are putting in the work for the job they were hired to do. The army of corporate zombies are rising up as those in charge of hiring are adding more and more of the same type of person into their company. Is your company overwhelmed by corporate zombies? If so, it’s time to start revamping how your company hires. 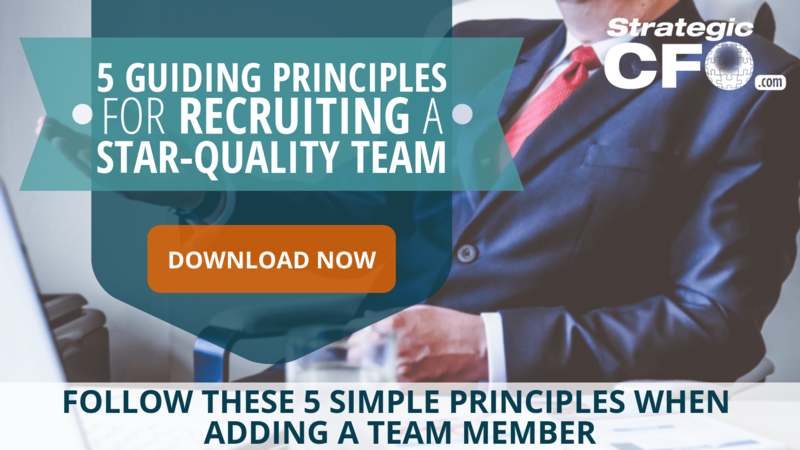 Click here to download our free 5 Guiding Principles for Recruiting a Star-Quality Team whitepaper. Why are Corporate Zombies destroying companies? The 2AM emails, rolling into the office late, staying late, accommodating everyone, and living for the gold stars. When you add all these factors up, you will see an unproductive, uncreative, and exhausted employee that are wasting your time and money. Not good. These employees are destroying your company before your eyes, and they need to be stopped. According to the most recent Gallup poll on employee engagement, 67% of employees in companies located in the United States are unengaged. Most of the time, you will not be able to walk into a company and see this. But after spending a little with employees in different departments, there will be a couple things that stick out to you. People are watching the clock, trying to prove how much work they are doing (and completely disregard the quality of the work completed), and are sucking up to their superiors. While they may be engaged with their position, they are not engaged with the work needing to be done. In addition, these unengaged employees are looking to step up into a more superior management position. But another interesting thing to note is that not everyone should be a manager. Gallup also reports that “only 10% of human beings are naturally wired to be great managers — and some others, while not naturally gifted, are teachable. But companies choose candidates with the right talent for the job only 18% of the time.” By putting employees that may “work hard” but do not produce quality work into management roles, leaders will continue this cycle of building a zombie-like company. If you told an eight-year-old to clear the dinner table and put things in the dishwasher, you may find that although the task will get done but it may be done not correctly. Employees in your company do each task and move onto the next so quickly that there is no check of the work done. Down the line, those or other employees will have to redo those tasks – wasting the company’s money. Their hyper-focused attention on reaching the end goal skips over the full scope of a project. Although millennials are most often blamed for this, all employees that leave late, stay up late, and are on the clock essentially 24/7 are destroying their own productivity. 24/7 work creates exhaustion, tension between the employer and employee, decreased productivity, and reduced loyalty. An employee starts out exhausted. They think that to get to the next level, they need to be on the clock always. Then if they don’t see progress on getting that promotion, they begin to resent the company. That resentment quickly morphs into decreased productivity. If more work doesn’t move the needle, then they start producing less work. Eventually, they leave the firm. Everyone knows this: employee turnover is a killer for companies. Have you noticed that your company is more responsive than proactive? After a customer, vendor, or employee brings up a complaint, your company then begins to find a solution. But there is no initiative to find a solution beforehand. It can be frustrating when you hear the same complaints repeatedly. You start to question whether there is something that can be done to prevent these situations from arising. Sound like your company? Corporate zombies may have overrun your company. The best companies in the world attempt to predict potential issues in advance and work to find a solution to those issues before they become a problem. They think about how they could improve the current product or service. They don’t just move onto the next project because they finished the previous. This lack of initiative in companies is destroying any chances of gaining real value. A general does not go into battle without a game plan, so why would you? To take down the army of corporate zombies that have been building up for years, you need a firm strategy to combat them. Some of the strategy needs to include changing the culture of your company and taking control over the hiring process. You cannot allow that army of zombies to continue to build. Build a team that defies the norm. Click here to download our free 5 Guiding Principles for Recruiting a Star-Quality Team whitepaper and start combatting those corporate zombies. The best way to combat those cash-sucking employees is to encourage critical thinking. Try not to just settle for the easiest and quickest solution. Instead, create teams to provide the best solution for your company and for your customers. If you do not encourage and demand that your employees think beyond what they have been taught to do, the cycle of producing the same type of person will continue. Hire each person for a very specific purpose. As one of your largest expense items, it is your role as a financial leader to cultivate the best employees. Challenge your management to do better instead of letting them do their jobs like they have been for years. Corporate zombies do not like to be attacked. Defy the norm and think critically about how you can go against the grain. Address quality in your company. Create quality controls in your company to push your employees to do better than they did yesterday. Your company, customers, and shareholders will be thankful that you did that (and your competitors will be cursing you). As the financial leader of your company (CFO, CEO, controller, entrepreneur, etc. ), take control of your recruiting. If you are looking to be successful and grow substantially, you must have the right employees. They must challenge you like you challenge them. Although it may feel nice to have a yes-man, a yes-man is only looking to get your job or to get on your level. A star-quality team requires different people to contribute to the overall success. Start assessing your current team and transform your hiring process by learning what it takes to have a star-quality team. Download our free 5 Guiding Principles for Recruiting a Star-Quality Team to stop the rise up of corporate zombies in your company. Access your Recruiting Manual in SCFO Lab. The step-by-step plan shows you how you can recruit and hire the right team.